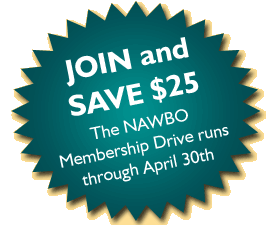 Join NAWBO South Jersey by April 30 and receive a $25 Discount on the Initiation Fee. This is automatically reduced at check out for membership. In addition, former members who rejoin NAWBO SJ will have the $25 reinstatement fee waived. Whether you have just started your business, have grown it into a multi-million dollar corporation, or are somewhere in between, it’s time for you to take the next step by joining NAWBO. No matter where you are in the evolution of your business, NAWBO will help you reach the next level of success. Each issue of our newsletter highlights one of our members. With readership over 1400 strong and growing, we spread the word about you and your business. Come to network and learn or to lead and teach. We have many opportunities for our members to collaborate and share their expertise.—morning, afternoon and night. Work with other NAWBO members to help build business awareness through workshops, product and service offerings, and referral programs. We love talking about our members and we want the very best for you and your business. Unlimited opportunities to publicize your business through our social media channels. Develop leadership skills through involvement in NAWBO SJ board and committees and through the national NAWBO conference. Inspire and educate other women business owners through your own story and experiences and share in the collective wisdom other women business owners. As a national organization, when you join NAWBO SJ you have access to every NAWBO member across the country and can attend sister chapter events at member prices. Member receives all communications and publications, is eligible for all discounts and benefits, and is listed in the online member directory. Chapter membership is automatic for those whose businesses are located in a chapter area. To qualify for membership, members must own a percentage of their company. Those outside the 45 mile radius of a chapter qualify for a NAWBO – Virtual membership. Voting Member: Voting empowers our members to directly impact the current and future movement of the organization with policies and processes.